The Boston Red Sox broke out their checkbooks last week, and made some off-season deals that didn’t break the bank. The Bo-Sox came away with three players in the 2012 Winter Meetings held in Nashville. 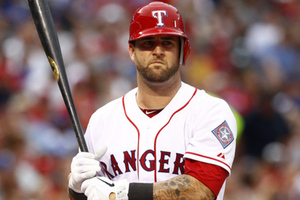 Mike Napoli: The Sox signed Nap to a three year deal worth 39 million dollars. Napoli batted .227 with 24 HR and 56 RBI in 2012. He brings flexibility, as he can play either catcher or first base, as well as a solid bat in the lineup for Boston. Which position he will spend more time at, depends on what Boston plans to do with catcher Jarrod Saltalamacchia. If they trade Salty, Napoli would likely become the starter at catcher. If they rotate Nap and Salty, expect to see Nap on first some nights and Salty behind the plate. At age 31, Napoli brings veteran experience and a clubhouse presence. Something the Sox could certainly use. 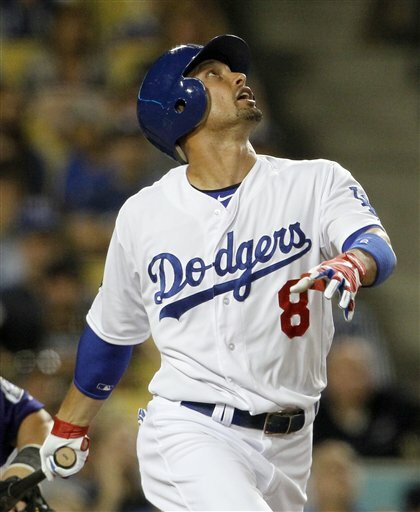 Shane Victorino: The Sox also inked Victorino to a three year-39 million dollar deal. Victorino batted .255 with 11 HR and 55 RBI in 2012. His numbers were down from 2011 (.279 AVG, 17 HR, 61 RBI) however, Victorino is a veteran outfielder who offers years of experience and is well known for being active in community work around the city in which he plays for. Boston most likely looks at Napoli and Victorino (along with Jonny Gomes) as guys who can come in and set an example for the rest of the team. Victorino will mainly offer another bat to the lineup, and if his numbers have an uptick in 2013, he could prove to be a smart move by the Sox when it’s all said and done. Koji Uehara: The Sox and Uehara agreed to terms on a one year- 4.25 million dollar deal. Uehara was regarded as one of the best relievers last year playing for the Texas Rangers. Uehara posted a 1.75 ERA with a 0.64 WHIP with 43 strikeouts in 36 innings of work in 2012. At 37, Uehara brings a veteran arm to an already solid bullpen. This was a nice, inexpensive move by Boston. Less is More: Total Money Spent at the 2012 Winter Meetings: 82.25 million dollars. Which isn’t bad considering how much money Boston dropped in 2011 (roughly over 300 million dollars) and we all saw how that panned out. Maybe “Less is More” will actually be true for the 2013 Red Sox. Final Thoughts:What Red Sox fans should take away from these deals is this. The Red Sox are trying to piece together a balance of talent and character in what is the first of many building blocks to rebuilding this team. Napoli, Victorino, and Uehara will help mold the foundation, but the Sox still need a few more pieces before they can begin constructing a house. What do you think? Did the Sox make the right moves in this year’s meetings? What would your next move be if you were Ben Cherington? Leave a comment below.